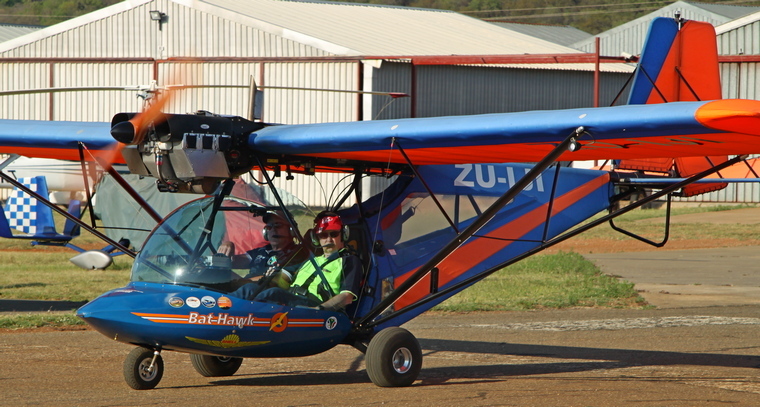 The Bat Hawk, a conventional 3-axis light sport aircraft LSA, the most affordable light sport aircraft on the market, is supplied as a complete ready to fly aircraft. 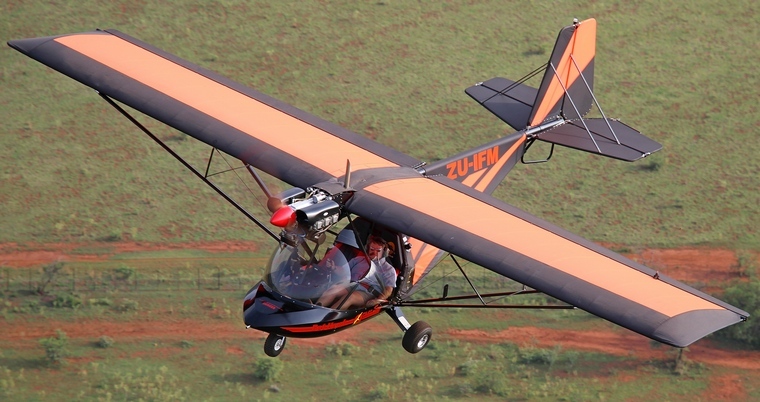 The aircraft complies with the ASTM2245 Build Standard rules and regulations as well as South African Civil Aviation Type Approval. 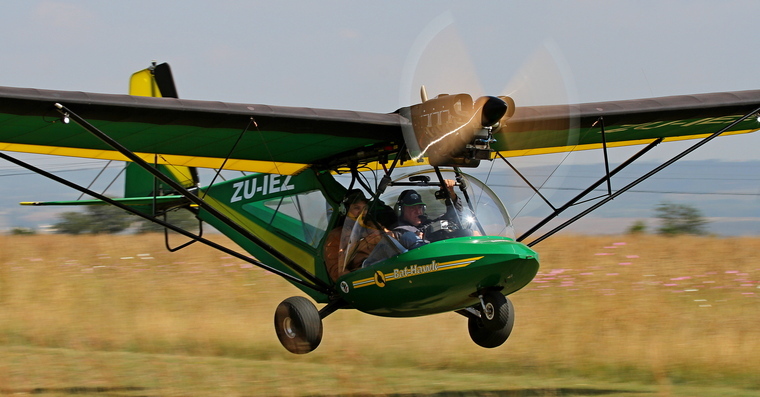 Designed and developed by Micro Aviation South Africa primarily for surveillance and conservation features for African conditions is a strut-braced high-wing, two-seats-in-side-by-side configuration open cockpit, fixed tricycle landing gear and a single engine aircraft in tractor configuration. Performance of the Bat Hawk in its multiple options has been widely acclaimed as nothing short of sensational. In the hands of a learner it remains perfectly balanced for fingertip control and hands off flight, but pushed to the maximum by an experienced pilot the manoeuvrability is breath-taking. 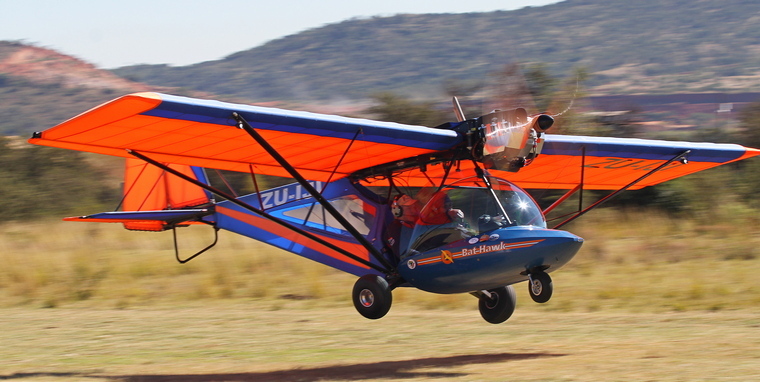 Several important designs are incorporated into the Bat Hawk, which include a 100 hp 4-cylinder Rotax® engine with substantial cheek plates and engine mountings and an all up weight of 540 kg, strong main gear, large 'bush' tyres, hydraulic disk brakes, large fuel tank capacity (80 litters), zip open / close luggage area, MGL Engine Monitoring System, strong wing spars and wing struts, streamlined nose pod and a large windscreen for improved visibility. 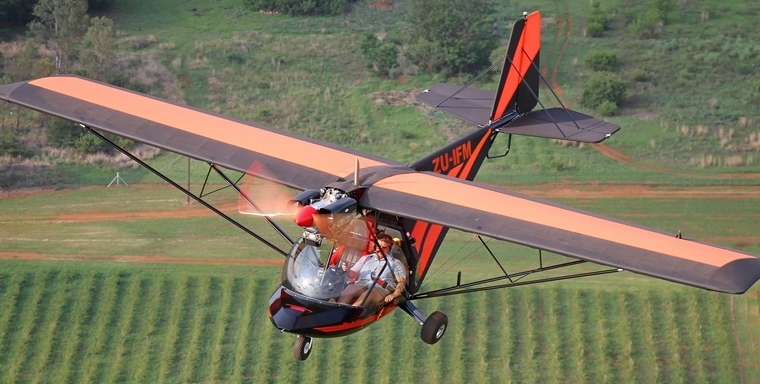 There is a big demand for this LSA aircraft in the surveillance and conservation industries and with the Bat Hawk's propeller up and out of the way it reduces the risk of damage by grass, sticks, stones and sand making it a true "Bush Plane". The Bat Hawk air-frame is strong and durable, allowing it to be used in many roles. With the second seat available to take significant loads, a number of Bat Hawks have been adapted for use in a variety of applications such as game reserve aerial surveillance, where the type is particularly well adapted due to its very slow forward cruising speed, relative silence and stealth characteristics. 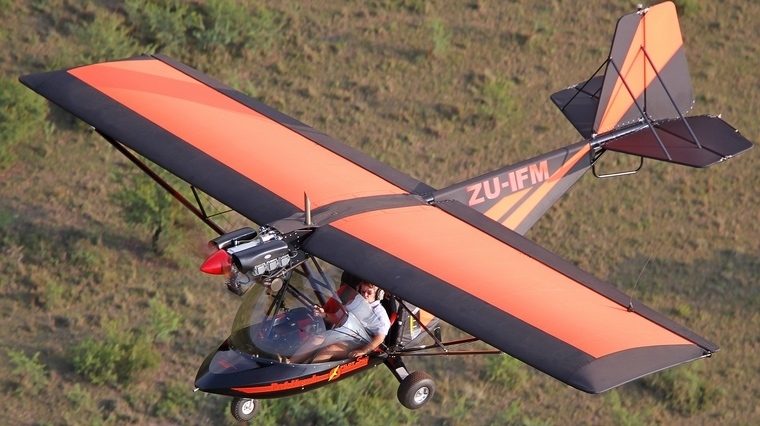 Other uses are: Fence checking and stock mustering on farms, aerial topdressing and spraying, aerial photography and surveying, reconnaissance and surveillance, regular ranger patrols, carcass location, water-point monitoring, monitoring of rare species, gathering of Scientific data for research purposes, radio telemetry and chemical immobilization of animals, anti-poaching and follow-up patrols, patrolling rivers and gathering valuable data on crocodiles for the Kruger Park Scientific services, monitoring and mapping burning programs in the Parks, including aerial burning of fire breaks with the Raindance Aerial Incendiary machine, patrolling the Kruger/Mozambique/ Zimbabwe borders and vegetation mapping and erosion monitoring. From left to right: Bat Hawk's Terry and Andrew Pappas and Aero Club Chairman Paul Lastruci. At the 2018 Aero Club of South Africa's Awards Dinner Bat Hawk South Africa was presented with the PGS Trophy a fitting tribute to a company whose product and reputation has made it a household name in aviation circles not only in South Africa but also in continental Africa.